Save The Rhino, Hunt A Poacher. Human-tracking dogs are at the forefront of endangered species protection and this campaign will raise money for training. Last year we helped train Belgian Malinois puppy, Koa, so that he could join Pit-Track K9 - an elite Endangered Species Protection Team in South Africa. To me, Rhinos are the Bulldogs of wildlife. They are funny, beautiful, incredible animals. It is unacceptable that we lose a rhino to poaching every six hours. One of the only ways to keep them alive, is to guard them 24/7. 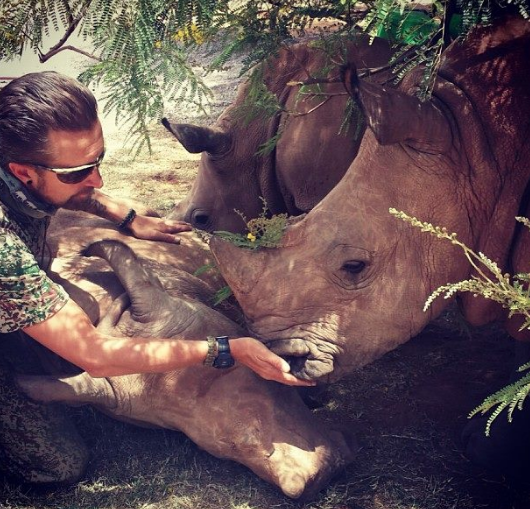 The Men and Women who put their lives on the line so that rhinos can survive should be applauded. It is hard work. Dogs such as Koa are taught to track human scent. To hunt the poachers before the poachers can get to their prey. 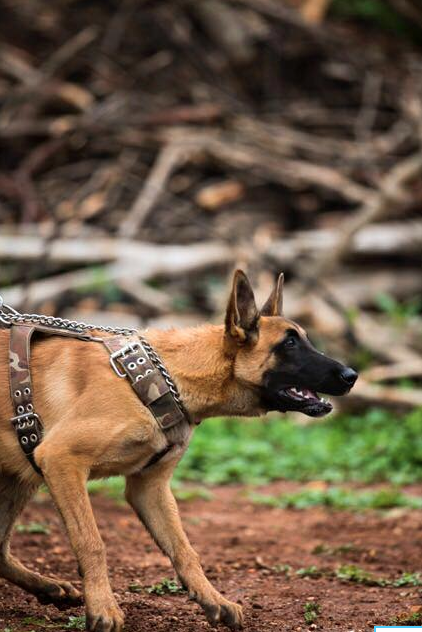 It costs $3000-$4000 to train an anti-poaching dog. All proceeds from this t-shirt campaign will go to Pit-Track K9. Their mission is to protect endangered species. Our mission is to help them do it. You can help by buying a t-shirt. Look cool - and show that you care. Don't let the poachers win!